In 2011, the St. Charles County Circuit Court and the Supreme Court of Missouri began their participation in a pilot program in which all filings would be done electronically. While electronic filing has been the norm for a while for filings in Federal Court, St. Charles County is the first and only State Associate Circuit Court and Circuit Court to have switched to electronic filing at this time. With the assistance of the Office of the State Court Administrator, the switch was the culmination of many months of preparation including beefing up the technological capabilities of the clerk's office and hours and hours of training of all courthouse personnel, including the Judge's themselves. In November of 2011 the Family Court filings in St. Charles County officially switched from paper to electronic. This switch became mandatory on all new and routine filings at that time. For clients the change will not yet be as impactful as it is currently for attorneys. 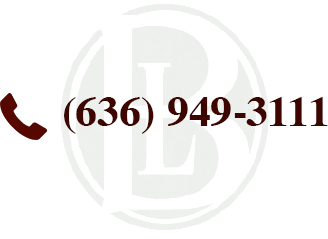 For attorneys who practice in St. Charles County the changes are significant. It is now much more critical for attorneys and their staff to be comfortable with technology and to have a sufficient technological system in place to allow them to continue to effectively represent their clients. Attorneys who practice in St. Charles County will now be required to not only do their filings on-line, but they will need to be comfortable with navigating through the system that has been established to make sure they monitor and respond to the filings of opposing counsel as well as stay on top of any Orders generated by the Court or changes to the calendar that may come from clerk's office. Further, the change may require your attorney's office to increase their technological capabilities depending on the current computer system they have in place including making sure they have sufficient data storage capabilities in their system to preserve information on their client's case. The system is still a work in progress and will undoubtedly be revised over time to increase the efficiency of the process. For prospective clients seeking legal counsel to handle matters in St. Charles County it is now more important than ever that they select an attorney who is both capable and comfortable with the current electronic filing system.